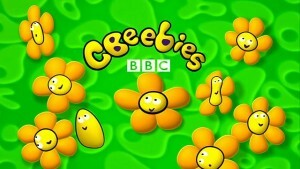 The BBC is to extend the CBeebies brand in China after BBC Worldwide signed an agreement with the Shanghai Media Group (SMG). The corporation's main commercial arm, which sells BBC content across the globe, will work with SMG subsidiaries including Internet TV Service, BestTV, DocuChina, Dragon TV, Wings Media and Toonmax Media. A key area of collaboration will be the extension of the CBeebies brand - which has its base at MediaCityUK - to include consumer products, e-commerce and marketing, co-production opportunities in documentaries, factual entertainment and drama, and format production with Dragon TV. Paul Dempsey, president of global markets at BBC Worldwide, said: "We are delighted to be cementing our relationship with SMG by announcing this exciting new phase of our long term alliance and look forward to working together towards the exchange of expertise and creation of new business models across media spaces in both China and globally." In 2013/14, BBC Worldwide generated sales of £1bn and profits of £157.4m. Wang Jiannjun, director president at Shanghai Media Group, added: "We look forward to deepening our relationship with BBC Worldwide to greatly enhance SMG’s original production capacity."